Wargames sequel on the way? Looks like a Wargames sequel is in the works. I have no idea where I stumbled on the site Not Starring, but it’s a fun read. While looking over the site, I learned that Chuck Norris turned down the role of John Kreese (Cobra Kai Sensei). Of course, anyone who knows the awesomeness of Chuck Norris knows why he had to turn down the role – there is no way Mr. Miyagi could have ever beaten Kreese in the second movie if Chuck Norris played the role. I’m actually a big fan of the librarian hottie look, which is really what her glasses make her look like. She looks in the mirror, though, and sees something straight out of Macbeth. I hope she makes an easy, one-cauldron meal tonight. 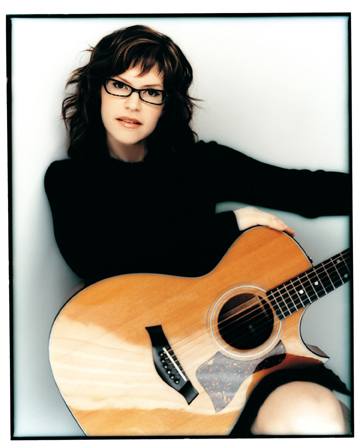 Since I have no pics of Gloria, we’ll celebrate geeky hot-chick looks with an image of Lisa Loeb. I don’t know if Ms. Loeb is geeky, but she has the geeky hot-chick look so perfectly done that I just like looking at her. Mmmmmm, I love those glasses. So Eye Candy bonus post here.